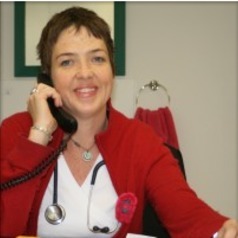 Dr Bridget Hodkinson is a South African physician and rheumatologist trained at Chris Hani Bardgwanath Academic Hospital in Soweto and now works at Groote Schuur Hospital in Cape Town. She is part of a busy rheumatology unit serving the Western Cape, dealing with a wide range of conditions including rheumatoid arthritis, SLE, gout, osteoarthritis and HIV associated conditions. She also teaches undergraduate and postgraduate students and is supervising a number of postgraduate projects. Her main research interests are systematic lupus erythematous (in particular quality of life aspects and comorbidites), ankylosing spondylitis, and gout, about which little is published from sub Saharan Africa, as well as musculoskeletal TB infections.